Here it is! 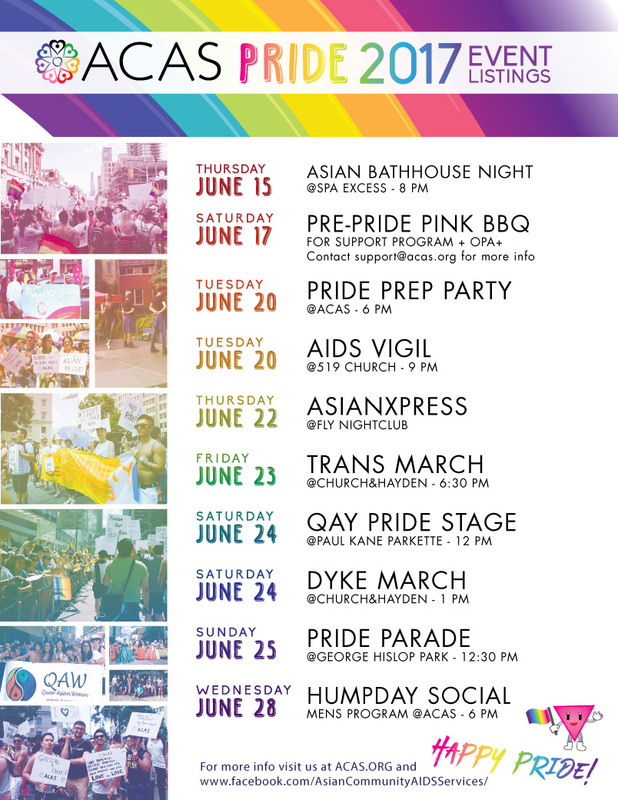 The official list of ACAS Pride Events! See the additional links for more information on each event! There’s a ton of events going on around the city. Have a wonderful pride! June 24th DYKE MARCH 1pm -Join the women’s march! June 25th PRIDE PARADE -The main event! Join ACAS and show the city some Asian PRIDE! Meeting at George Hislop Park 12:30pm March starts at 2!